Is Oscar Maximilian Jackman Gay ? 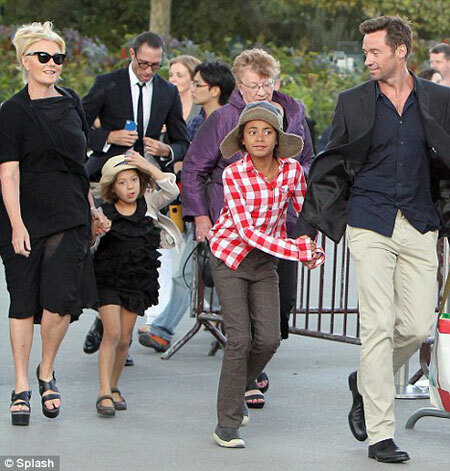 Oscar Maximilian Jackman is the adopted son of the Hollywood couple Hugh Jackman and Deborra- Lee Furness. Oscar is biracial, meaning that he represents a mixed ethnic group. He is also known to get along with his family very well. Hugh took his family for a vacation. 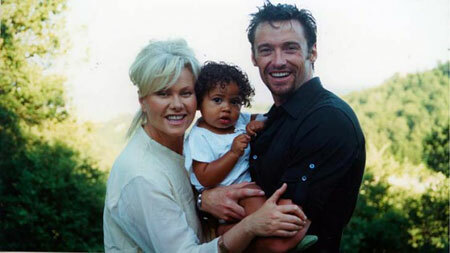 Born on 15th May 2000, Oscar Maximilian Jackman was adopted by Hugh Jackman and Deborra- Lee Furness. He is biracial, which indicates that he is a bit of everything - African- American, Caucasian, Hawaiian, and Cherokee. When Hugh and Deborra suffered from 2 miscarriages, they found out that they couldn't have children of their own. They then decided to adopt the biracial child Oscar. Talking about his family, Oscar has a sibling Ava Eliot Jackman. She was adopted too. They are both of mixed races. Oscar was adopted in May 2001 whereas Ava Eliot Jackman was adopted five years later in 2005. As of late 2018, Oscar's net worth is yet to be revealed and under review. In fact, he has not professionally been involved in any kind of profession. His father, Hugh Jackman, however, has a net worth of $100 million, mostly earned through his acting career. His mother, Deborra- Lee Furness has an estimated net worth of $10 million. The adopted and beloved son of Hugh Jackman and Deborra-Lee Furness, Oscar Maximillian Jackman turned eighteen years old in 2018. The bond of a family is determined not with the blood relation but with the love and respect they share. The Hollywood couple doesn't see Ava and Oscar as adopted ones but rather their own. After adopting Ava, the couple now says that their family is finally complete. In June 2017, Oscar went for a vacation with his parents and sister. After tiring school days in Sydney, Australian, the holiday in Antiparos, Greece, was a perfect getaway. At the vacation, Hugh truly became a father that came out to have fun with his children. He wore a semi-sheer T-shirt and overlay shorts. Once, Hugh rescued his children from a riptide in Australia. In March 2016, Jackman had to be a real-life superhero after 16-year-old Oscar and 11-year-old Ava got caught in a riptide on Bondi Beach in Sydney. Jackman was helped by another man and they assisted the lifeguards to direct other beachgoers away from the waves. Nobody was hurt.